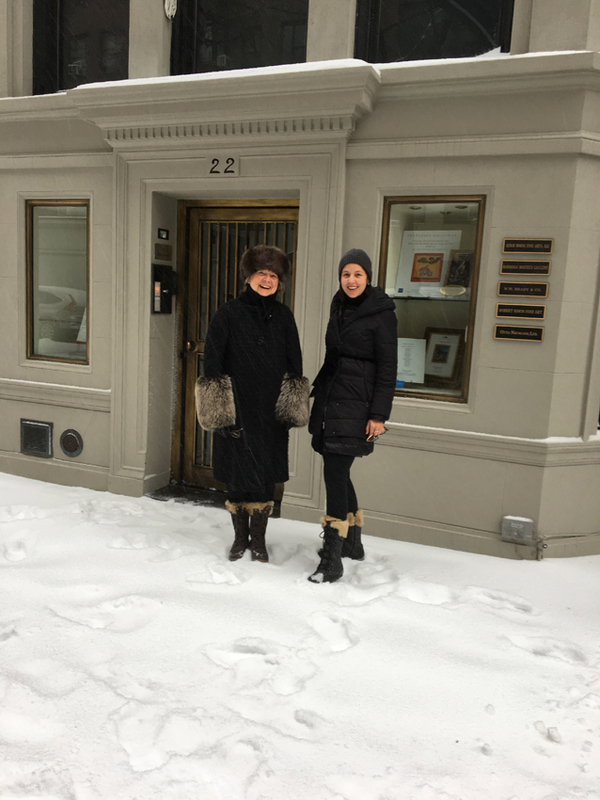 Dealers braved the elements in New York this week as the city’s ‘Asia Week’ events kicked off in spite of 7in of snow falling. 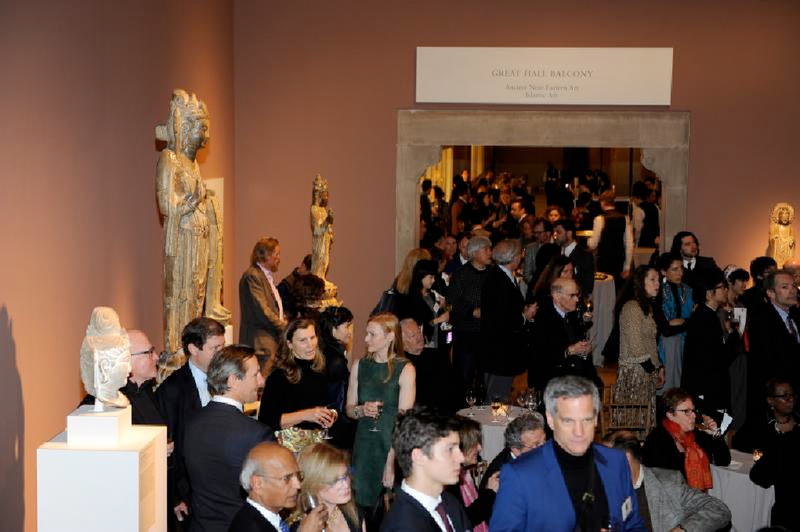 With the launch party held at The Metropolitan Museum of Art, the question on many dealers’ minds was whether to open or not as the impending storm loomed. Sotheby’s and Christie’s had rescheduled auctions on Tuesday after reports that a blizzard was approaching the US East Coast and they closed their New York salerooms as a precaution. However, many of the 50-plus dealers participating in the Asia Week gallery trial decided to keep their doors open and carried on with business as usual despite the inclement weather. 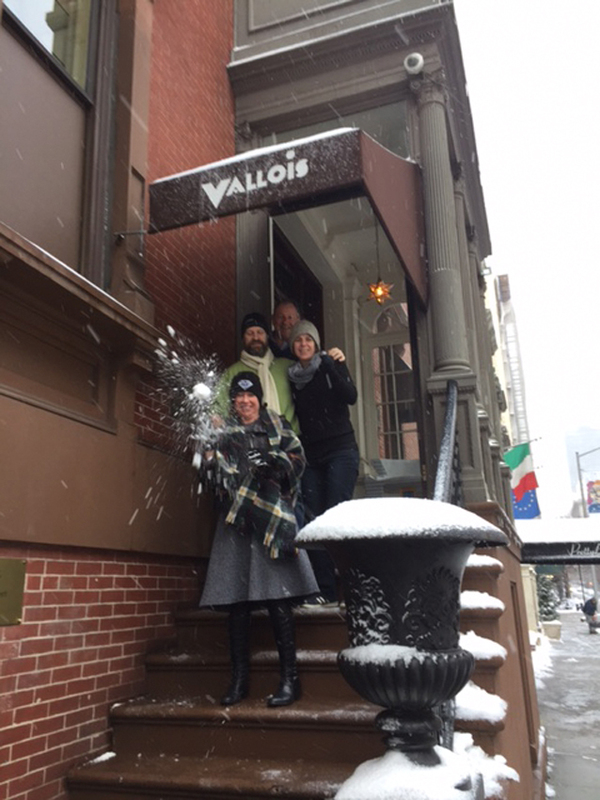 Dealers Susan Page, Michael Hughes, Helen Dennis and Robert Hall outside the Vallois Gallery on New York’s 67th Street. Among the dealers who felt vindicated by their decision to remain open was Chinese works of art specialist Michael C. Hughes who reported several museum curators and private clients had visited his exhibition at the Vallois Gallery in 67th Street. London dealers Oliver Forge and Brendan Lynch reported half a dozen intrepid visitors, including a curator, lining up outside their exhibition on 82nd Street as it opened at 10am, and made four sales. 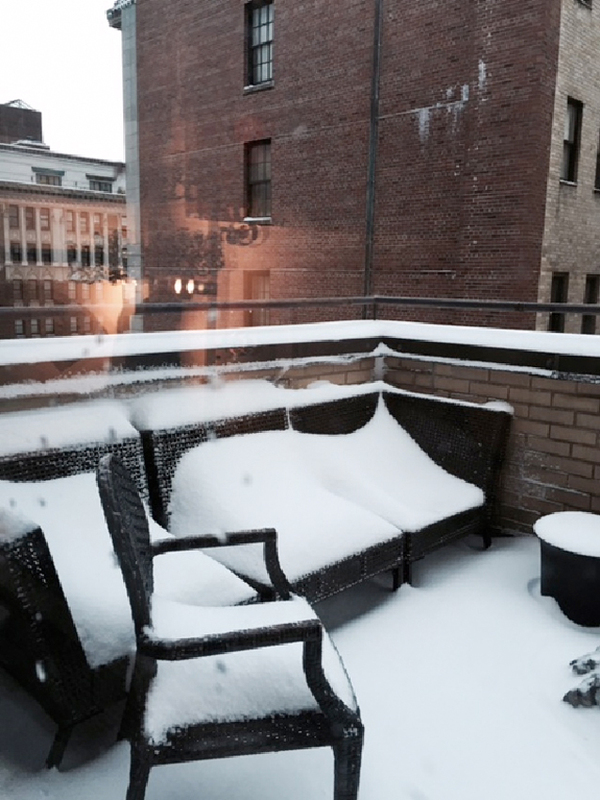 The snowy gallery terrace of Asian art and antiquities specialists Kaikodo LLC. Carol Conover, managing director of Kaikodo LLC, said that she had a steady stream of visitors, while Swiss dealers Dr. Robert R. Bigler and Gabriel Eckenstein reported a good visitor turn out to their shows. New York: Asia Week continues until March 18.